I mean really? Is EvE niche? They are near 500,000 subscribers. SWTOR? They pulled in $132 million and have a few million players. How about EQ, who was at the forefront for a few years but never hit the million mark? Maybe Lineage is niche because no one in the west plays? I read statements about niche products (such as Pantheon) and have to scratch my head. In 2004, the average MMO player was 26, half had full-time jobs, a quarter had kids. 80% played with someone they knew. 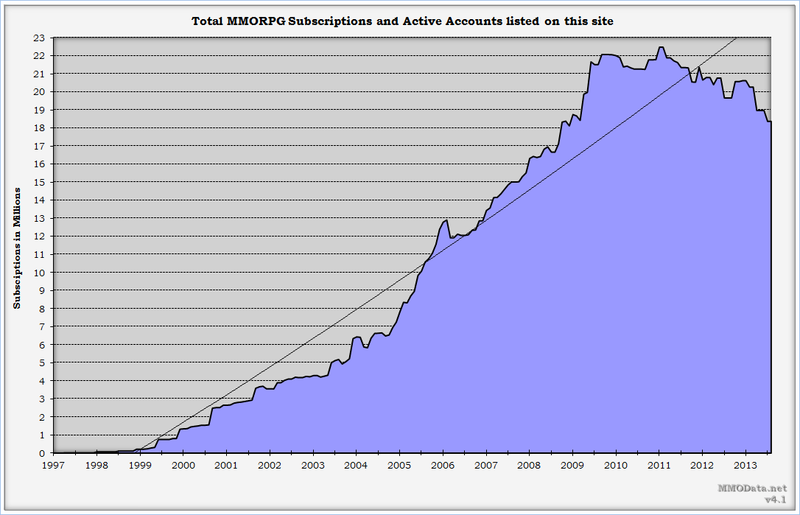 Bell curve that out for 10 years (wow, it’s been a while) and you’re looking at a much older MMO crowd. The total subscription market has already peaked (in 2011) and has dropped from 22M to 18M. That’s 2008 levels – so mid WotLK. A 20% drop is a lot of money. Now this isn’t in terms of active players, given the rise of F2P. That market is clearly growing. WoW made $200M in micro-transactions. They have about 2M US subscribers, so that’s $300M. Think about that a second, WoW makes nearly as much money in micros as it does in subscriptions….and they make next to no subscriptions in Asia. So while subscription games are waning, there’s evidently more people playing and more money to be had. MMO’s as a genre can no longer be called niche. Can games within the genre be niche? Is that from a design perspective or from a market perspective? Game design is simple. Get money, make a product, sell product for more than you paid. Any game that doesn’t follow that mentality either gets cancelled or shut down. Niche, today, just seems like an excuse for when this happens. This entry was posted in Games and tagged design. Bookmark the permalink.